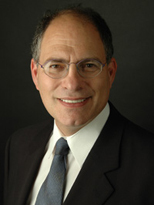 Ira L. Shapira, DDS, Diplomate of the American Board of Dental Sleep Medicine, Diplomate American Academy of Pain Management and Fellow of the International College of Cranio-Mandibular Orthopedics (ICCMO), believes that each patient deserves every possible advantage against chronic health conditions. At North Shore Sleep Dentistry, Dr. Shapira offers personalized attention and state-of-the-art treatments to help patients achieve optimal dental and overall health. Changing and improving the quality of people's lives is what Dr. Shapira loves doing. He has a library of videos of patient testimonials on his YouTube channel. Recently elected as Chair, Alliance of TMD Organizations Dr Shapira is working to make medical coverage improvements for patients with TMJ disorders. To learn more about the treatments our North Shore sleep dentist offers, please call Dr. Shapira’s office at (847) 533-8313 today to schedule an appointment. Dr. Shapira welcomes patients from Highland Park, Lake Forest, Deerfield, Vernon Hills, Libertyville, and other Chicago suburbs. Dr. Shapira graduated with a Bachelor of Science degree in microbiology from Ohio State University. He later earned a Doctor of Dental Surgery degree from Loyola University in Chicago in 1977. He serves as a Visiting Assistant Professor at Rush Medical School in the mid 1980's until 1991 where he did research on jaw position and sleep apnea. His research looked at similarities in jaw position of male sleep apnea patients and female TMJ patients. Dr Shapira was one of 20 dentists worldwide that established the Sleep Disorder Dental Society which later became the American Academy of Dental Sleep Medicine. He returned to Rush Medical School in the late 1990's until 2001 as an Assistant Professor in the Sleep Center. Through an emphasis on ongoing education and offering patients the latest in technological advancements, Dr. Shapira is dedicated to the practice not only of dentistry but anti-aging medicine as well as better health, better sleep, and better lives. During the course of his 35 years of experience, Dr. Shapira has taught both TMJ treatment and dental sleep medicine around the world -- he most recently lectured in Argentina on common developmental pathways for TMJ and sleep disorders. He is doing an updated version of that lecture at the ICCMO meeting in San Diego in October 2015. He is also lecturing on Spenopalatine Ganglion Blocks for treating severe treatment resistant pain. While many dentists help patients achieve superior smiles, Dr. Shapira is delighted to help his patients improve their overall well-being. During your consultation, you and Dr. Shapira will meet one on one to discuss what’s ailing you and how different treatment options might be able to help. Dr. Shapira maintains a high standard of care and treats all of his patients like they’re members of his family. By staying current in exciting fields like epigenetics and other disciplines, he can make educated, knowledgeable recommendations on how the latest technology can encourage good health and function for the mouth and the entire body. If you’re considering surgical treatment for sleep apnea, snoring or another disorder, Dr. Shapira is proud to be a resource for a non-surgical second opinion. After evaluating your health and the results of the sleep study, he can recommend the procedure – if any – that could be most beneficial to you. To find out how you can improve your oral and overall health, please contact North Shore Sleep Dentistry or call (847) 533-8313 today. Dr. Shapira serves patients throughout the Chicago area, including northern suburbs.